Eighteen albums into what is remarkable career, Colin James returns to RootsandBlues at what is arguably the hottest chapter of his brilliant career. A year ago the triple threat of a guitarist, singer and songwriter took home the Blues Juno for his Blue Highways recording. To start 2018 James took home Electric Act of the Year, Recording / Producer of the Year (Blue Highways), and Guitarist of the Year honors at the Maple Blues Awards in Toronto. One does not achieve this kind of ongoing respect and the continued triumphs at the box-office, on the radio and in concert for 30 years by accident. These accolades and successes are determined by a complete command of one’s artistry on all levels. Just cruise through his discography and you’ll be reminded of all those timeless musical moments found on albums like Little Big Band, National Steel, Fuse, Limelight and Hearts On Fire. James lights it up with his playing that can be incendiary one moment and tasty yet muscular the next. His singing has been one of his aces since he first burst onto the scene with Why’d You Lie back in the late eighties, yet today, James has grown into a powerhouse vocalist who is quite simply a force unlike few others when he steps up to the microphone. Anyone who caught his last full band tour was a member of an audience that let loose with one ovation after another and his current band is simply as good as it gets. 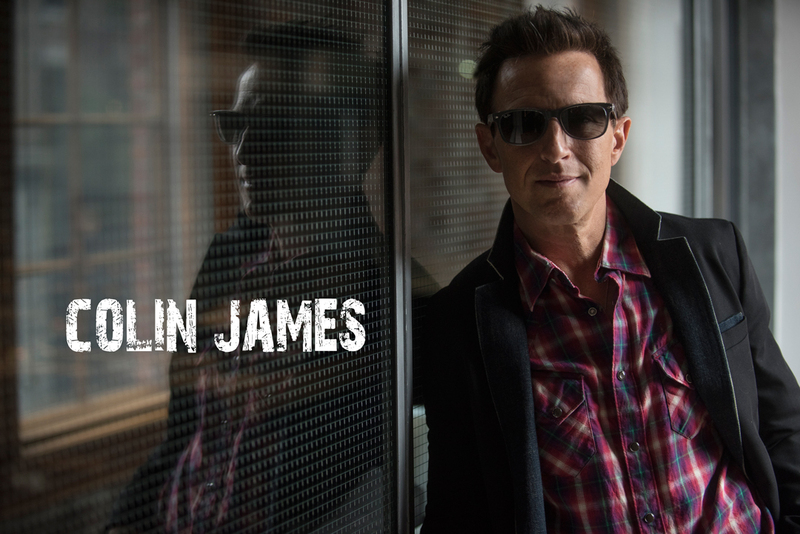 Roots & Blues is thrilled to present Colin James as the closing act and finale for the 2018 festival. The winner of 6 Junos, 20 Maple Blues Awards and inductee into the Canadian Music Hall of Fame will also be playing a workshop / side stage show on the afternoon of Sunday August 19 with some exceptional blues musicians from all over North America.